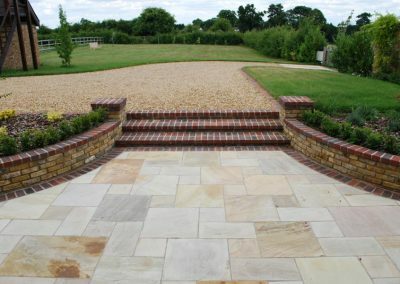 This was an entrance to a farmhouse. 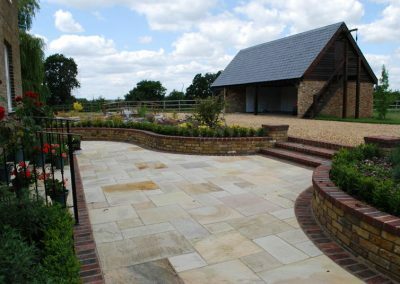 Natural loose gravel was used for the large driveway edged with stock bricks. Matching stock brick steps led down to the Sandstone entrance area retained with reclaimed stock brick walls.